Three weeks ago my two sons and I were surprised when my husband went home carrying a miniature dachshund. 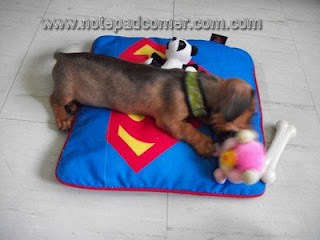 We love dogs, our pet dogs consists of a basset hound, beagle and a dalmatian. The arrival of the little black and brown puppy gave so much joy for the whole family. 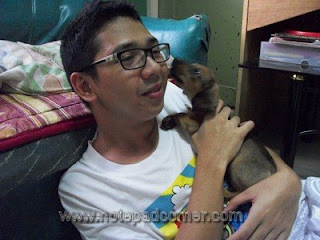 Just upon seeing the pup, we warmly welcome him and dearly loved him instantly and named him Timmy. 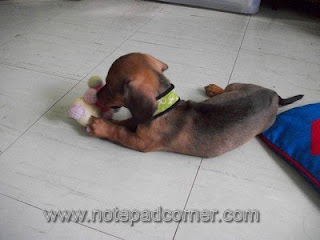 Miniature dachshunds belong to the small dog breeds. 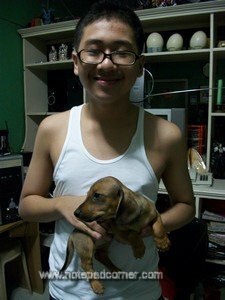 Timmy is only 50 days old when he arrived home and as what my husband said he will only grow twice or thrice his size when he became an adult. Just like what we did in our other pet dogs we begun training him as early as possible. We decided to make him a home dog for our other dogs might put him a fight inside their kennel. He stays inside the house, he keeps on walking and running. We were really amazed of his intelligence, I potty trained him only for three days, on the fourth day he already knows where to pee and poo. 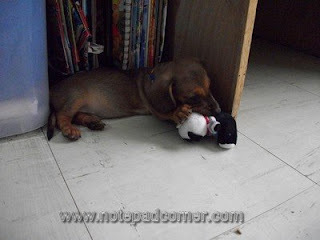 He also knows how to fetch his toy panda when thrown and he will give it back to you. 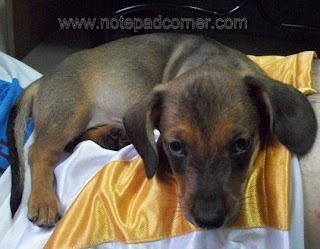 In three days time also he already recognizes his name, his tail keeps on waggling and will run to you upon calling him. He is so smart and easy to train. My husband is a veterinarian but his forte or field of specialization is on swine management, so just to make sure, on Timmy’s first weekend with us, we took him to an animal clinic nearby for health check up. 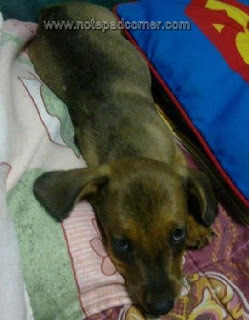 We were advised by the veterinarian to make sure to ration his food appropriately: Dachshunds can gain weight quickly, causing more back problems due to their relatively long spine and short rib cage and other issues. 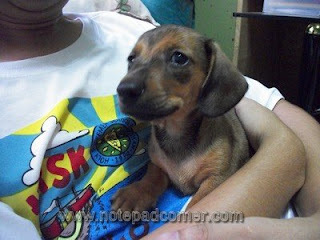 He was given his first deworming shot then the 5 in 1 DHLP + CPV vaccination. 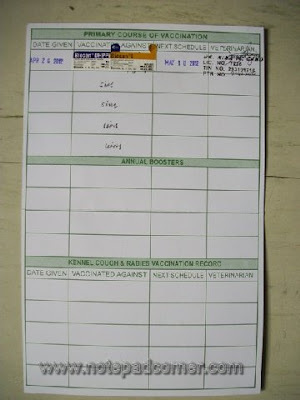 Just like a baby, Timmy also has his medical record book. As of this writing, Timmy already had gained weight, he is now more than a kilo. He is tirelessly energetic and curious, he bites on things he can get ahaha. We bought him a toy bone and toy panda for his chewing activity. Timmy, our family’s new found love that provides fun and enjoyment. My constant home companion when everybody’s out for work and school. Our tiny-guard dog. 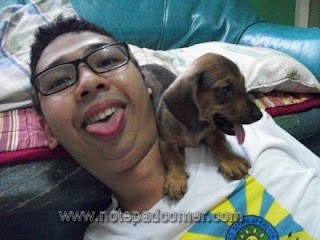 ang cute....... may bago na member ng family!! 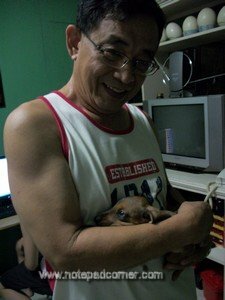 mas nakaka relax daw pag me aso sa bahay. Is this true? most adorable, friendliest animal on earth.